Part of me thinks this is a great idea, the other part thinks this is the greatest idea ever.. Here are the glammed up shoes from modcloth. Got these at Sears for $13.. so beautiful! These lookers were at the salvation army today. 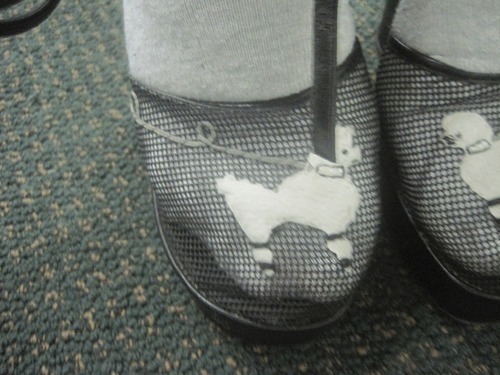 Nothing like stripper heels combined with poodles. 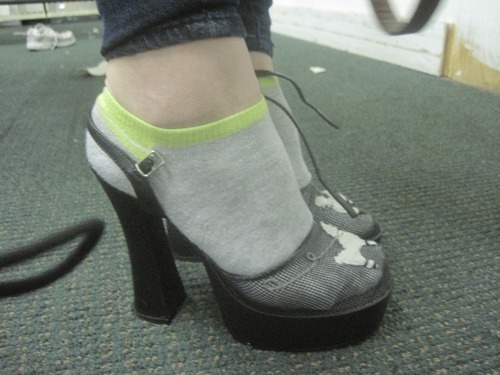 Cute shoes I got at Savers this weekend. So I only have two cousins and they are just about the coolest people ever. But they made a flaw in their coolness, they are both getting married in the same summer on the other side of the country. I am excited, but also am struck with panic when I think about clothing. So here is what I am thinking for the wedding that is in September. Am I doing it all wrong? This wedding is supposed to be black tie with a flair of 50s. Anyway now I have to find a dress for the wedding that is next month.. gulp.